Every Saturday, a group of girls arrive at the arts and crafts studio The Makery to claim a part of the space for themselves and their projects. The girls, ages 12 to 19, are from the Centre County Youth Services Bureau’s group home Stormbreak. The Makery, located at 209 W. Calder Way, is a downtown art studio specializing in classes, workshops and events. It has partnered with Stormbreak to give a portion of the proceeds from the business to the CCYSB girls’ home. In addition to the monetary donation, The Makery opens its doors to the girls on Saturdays so they can enjoy the open studio. Once there, the girls have bins where they can keep supplies from week to week so that whatever they choose to work on can be ongoing. The banners will be hung throughout Stormbreak to remind residents of the support and the sense of belonging they receive at The Makery. The 15-plus instructors who teach classes at The Makery have contributed extra yarn, paper and other items to the Stormbreak girls’ bins. The girls are looking forward to the opportunity to learn more at The Makery. “They are excited about coming here and being able to use this light airy space,” said Lisa Cousins, The Makery’s market manager. There are many classes offered during the coming holiday season and beyond at The Makery for both kids and adults. There are open times, too, when crafters can stop by and use the space to work on their own hobbies. For more information, email [email protected]themakerypa.com or call (814) 321-4576. Editor’s note: CCG correspondent Connie Cousin’s is the mother-in-law of The Makery’s Lisa Cousins. 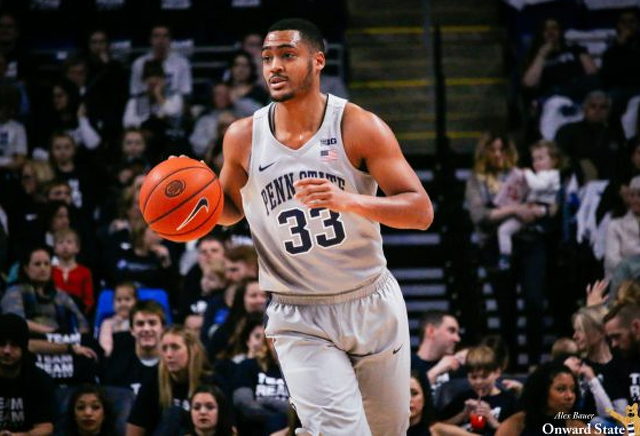 Penn State basketball proved that it might just be as good as advertised and that Pitt might be as bad as the Panthers' early season has suggested on Monday night as the Nittany Lions roared past Pitt 85-54.